EvoSpeed Kun boots 2015, new custom cleats created for Manchester City striker Sergio Aguero by Puma. The new EvoSpeed 1.3 cleats will debut today (January 18, 2015) when Aguero’s Manchester City take on Arsenal in the Premier League. 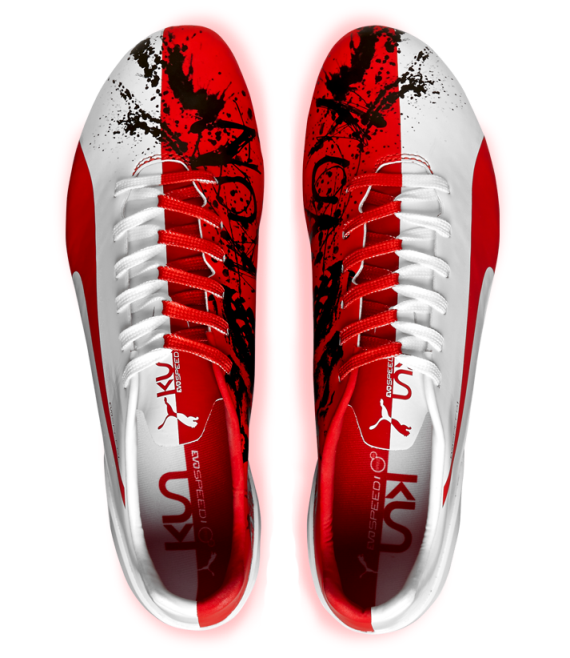 The new custom boots are red and white in colour, to honour Aguero’s first club Independiente. The boots contain his nickname “Kun” as well as the design of a dog that the Argentine striker is fond of. 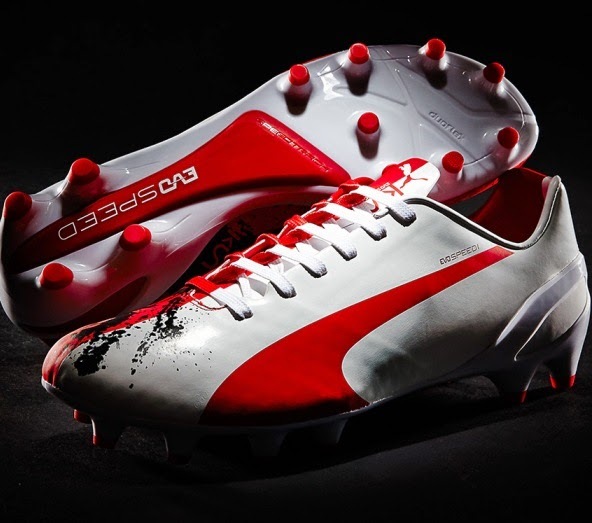 Again, these will be a limited edition, only 400 pairs available to buy globally, according to Puma’s press release.